This course qualifies for 4 hours of professional development under the AMI’s Certified Practising Marketer program. As digital channels continue to claim a growing share of audiences’ attention, organisations are increasingly turning to digital marketing tactics to grow sales, and for long-term brand awareness. With these new opportunities comes a new risk: without a unified, holistic digital strategy, these tactics can deliver disappointing results, and prevents teams from achieving their true digital potential. In this session, you’ll learn how to develop, test and implement a digital marketing strategy that delivers results across channels, and that powers up the rest of your marketing. You’ll also learn the factors behind digital success, and how to ensure your digital strategy is implemented for optimal results and ROI. 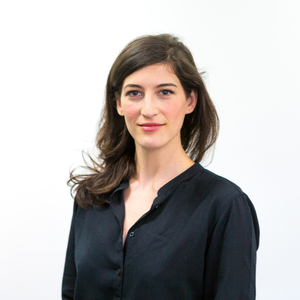 Ophelie Lechat is a Senior Strategist and Head of Academy at ntegrity, a digital marketing consultancy that aims to increase the digital capabilities of all Australians. With 10 years of experience in digital marketing, her work spans the corporate, not-for-profit and public sectors, as well as several years working in some of Australia’s fastest-growing startups. Ophelie was previously Head of Content, then Head of Operations for SitePoint, one of the world’s top 600 websites, and a leading publisher of articles, books and courses for web developers, designers and entrepreneurs. More recently, Ophelie leads ntegrity Academy, a digital marketing strategy training program that helps emerging organisations realise their digital marketing potential. She is also active with Startup Victoria, being one of three directors for their biannual conference, Above All Human.